Directions on getting to campus are here. (Hint: take the train to the Macquarie University station and walk to building E6A). 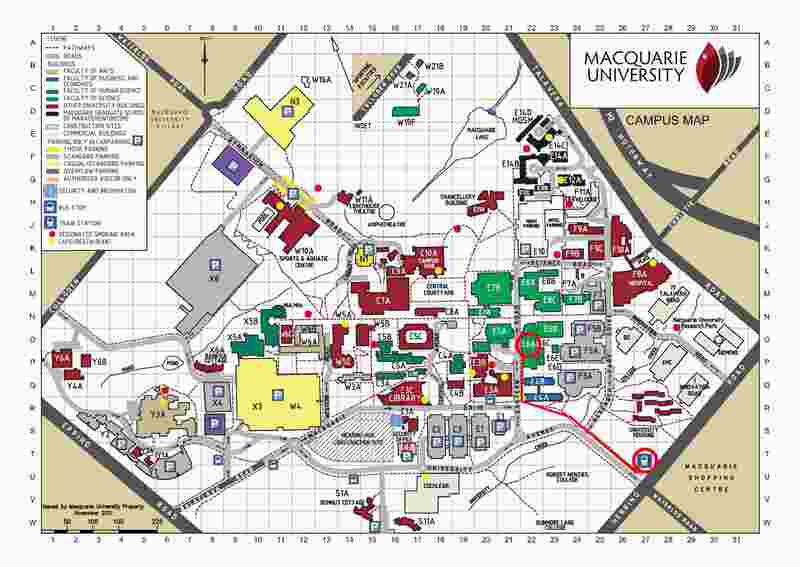 Downloadable jpeg map of Macquarie University with the path from the Macquarie University train station to Building E6A highlighted. Google map of the path from the Macquarie University train station to Building E6A. My listing in the faculty of Science directory. You may also want to look me (or other people) up on Search at Macquarie.